Congress president Rahul Gandhi, in Chhattisgarh, promised to bring in a minimum basic income scheme if voted to power in the upcoming Lok Sabha elections. Subsequently, union minister Piyush Goyal announced a similar scheme for small and marginal farmers across the country. 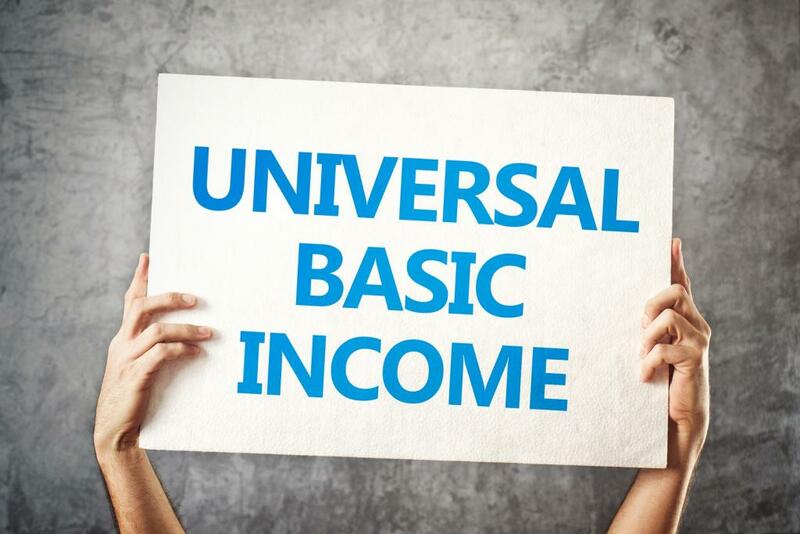 In this regard, Down To Earth talked to Sarath Davala, who led a pilot study on Universal Basic Income (UBI) in Indore district of Madhya Pradesh. For the study, conducted in 2011-12, researchers tried to understand impact of such a scheme. Davala is currently the vice chairperson of Basic Income Earth Network, and also the coordinator of India Network for Basic Income (INBI). Q) What was the idea behind such a research? The Self Employed Women's Association (SEWA), which works with the informal sector, was exploring alternatives for service delivery, and hence, the pilot study was planned. We know that delivery of welfare schemes is not very good. For example, the Public Distribution System (PDS) sees around 30 to 40 per cent leakage. In this regard, India is even worse than many other countries, including Sri Lanka. I was also roped in and the study continued in Indore district for 18 months. I have been working in the sector for last 20 years, but we were all skeptical about the idea as giving cash was never part of our culture. However, the study yielded quite positive results. Majority of people (more than 66 per cent) used it for constructive purposes, like agriculture. Some of the people who were given the UBI reported a five times increase in livestock. They also tried to uplift their family status by sending children to better schools. When former economic adviser Arvind Subramanian was preparing the last economic survey, he also used this same study. Now, government are realising its importance and coming with several schemes. Both Telangana and Odisha have come up with fixed income scheme for farmers. West Bengal and Sikkim are planning to do the same. Q) What are the major guiding forces for the scheme, and how do you think will it help the poor? Under the ‘general’ pilot, basic income was provided directly into bank accounts of individuals in eight villages, while in 12 other villages nobody received the basic income. The impacts of the transfers were studied by comparing what happened in these villages. In the second pilot — the tribal village unconditional cash transfer (or the ‘tribal’ pilot) — two similar tribal villages with SEWA presence were compared; one where everyone received basic income transfers in cash and one where no one did. The organisation initially provided Rs 200 to adults and Rs 100 to children every month. After a year, the money given to adults was increased to Rs 300 and for children it was increased to Rs 150. In the tribal pilot, the amounts were Rs 300 per adult and Rs 150 per child for 12 months. When the impact was studied, researchers found that people invested the cash for better sanitation and drinking water. Many of them even used the cash to improve their energy or lighting sources. In 2017, another study was conducted to understand the impact of the pilot project in tribal villages. It was found that people were still benefiting from the income growth. The impact is visible. There are six major points, including universal, unconditional, individual, monthly, cash and life time right which shapes the success of UBI. The Telangana government decided to go with unconditional and give Rs 8,000 per annum to every farmer. Now there are media reports that cultivated acreage has increased and also the production has gone up nearly 30 per cent. The universal and certainty factor of income plays a crucial role in empowering people. They can take immediate decisions according to the requirement. Q) There is a fear that government may withdraw other schemes while giving the basic income. What do you think of that? SEWA has conducted another study in Delhi, where they asked people whether they need ration card, PDS or cash amount. People preferred cash and used it for better purposes, like sending their children to better schools. There are many families that can get grains from their village, but need money for other purposes. It should be clear that government needs to remove unwanted schemes and re-organise its funds. Regular income gives confidence to families and they can plan according to their requirement. Q) But, grains people get under PDS is quite cheap. How can they afford such prices from the open market? Whenever we push the policy of UBI, we always recommend that the scheme should be linked to inflation. Further, central government alone doesn’t provide subsidies on grain, it’s assisted by state governments. This can be done for UBI as well. We must be prepared, however, for a scheme with several loopholes that will evolve according to the requirements. Q) There is a debate that the scheme may make people lazy. What is your take on that? If money made people lazier then the upper and middle classes should’ve been ruined. The hypothesis of money brining laziness is just coming due to the biasness towards the working class. There is enough evidence to say that the money given under UBI helps people in planning their lives properly. For further coverage of the issue, read here.